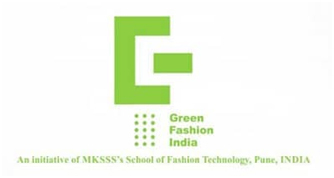 Maharshi Karve Stree Shikshan Samsthan (MKSSS) School of Fashion Technology, Pune hosted the 6th Green Fashion India (GFI) Conference 2018 in the verdant surrounding of Goa with an aim to highlight the virtues of Green Fashion. The two-day conference was held on 5-6 October 2018 at the sprawling Kala Academy in Panjim, Goa. 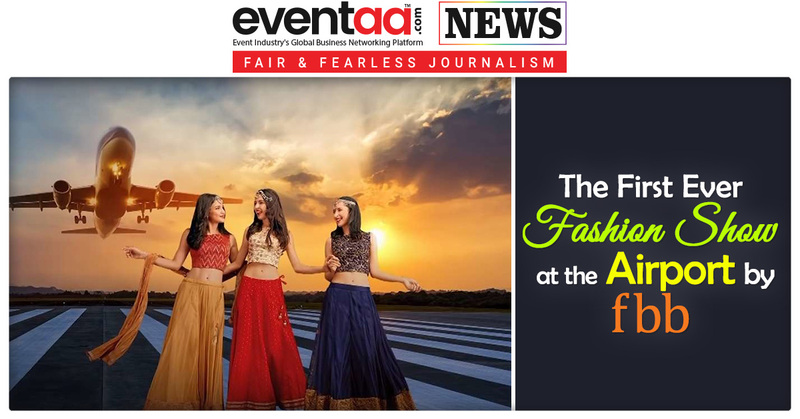 In keeping with the ethos of MKSSS, to sensitise the young fashion fraternity to follow and practice responsible and ethical fashion, the GFI 2018 was a showcase of sustainable collections of Indian and international designers. 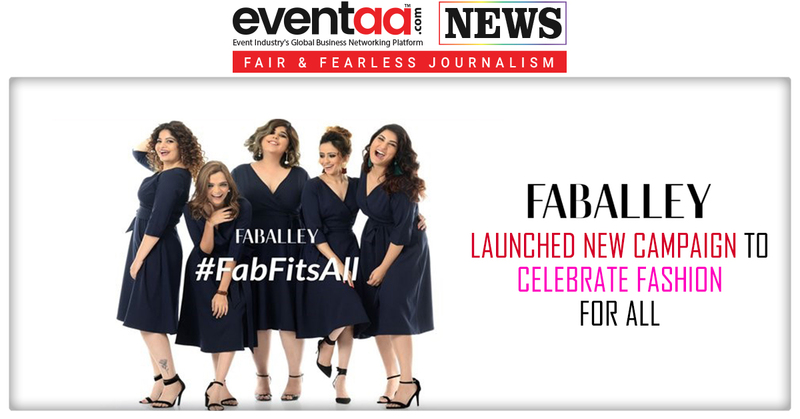 GFI 2018 engaged with experts and brands who discussed the way forward to make sustainable fashion a way of life. 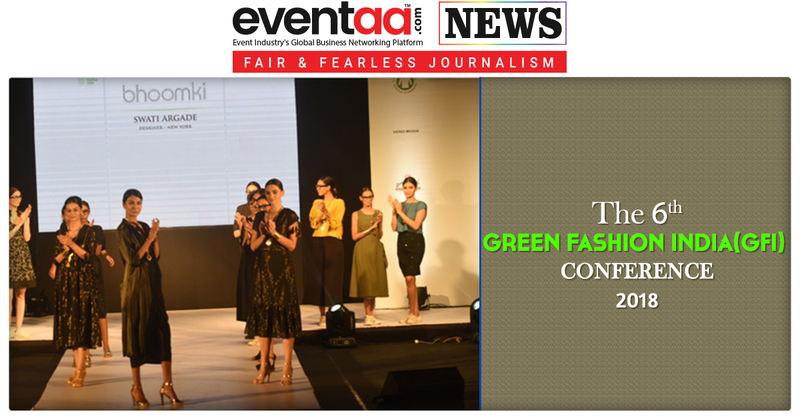 The many interactive panel discussions and contests ensured that the conference theme “Green Connect for Social Design” was well communicated to the participating fashion students. The theme of ‘Slow Fashion’ was about Recycle, Upcycle and Reuse. The Sustainable Fashion Design contest under the theme ‘My Own Way’, highlighted Indian crafts and traditional weaves, beauty of Paithani, crafts of Kullu Valley, art from Uttarakhand, cutwork of Rajasthan, fabric weaves of the Toda community, block prints, ikat, Pattachitra of Orissa and the Kasavu fabric of Kerala. 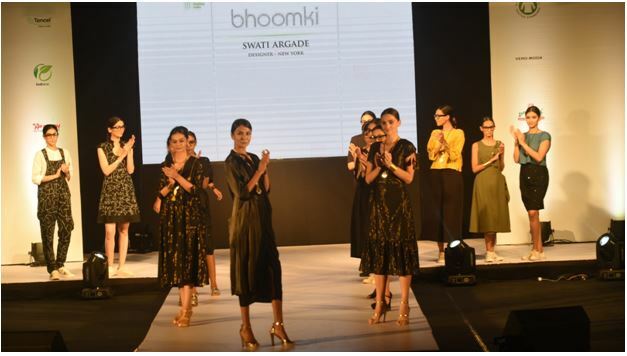 The New York-based Swati Argade brought her “Bhoomki” collection. Philippe Werhahn founder of “Ting Ding” and “Kollateralschaden” labels from Berlin show-cased his two brands along with top German sustainable collections by Aluc, Flowmance, Format, Linda Sofia, Tauko, Cocccon and Schmidt Takahashi that followed the recycle and upcycle mantra. Ninoshka Alvares, Goa’s popular designer brought her indigo dyed denim line with Shibori and ikat weaves. Sujata Tokey’s “Riwayaat” collection in earthy brown, rust and blue brought traditional Pipli work of Orissa on MungaTussar fabrics by Pracheen with vegetable dyes and prints to centre stage. Designer Rajesh Pratap Singh presented anall-white Tence collection for the Grand finale.